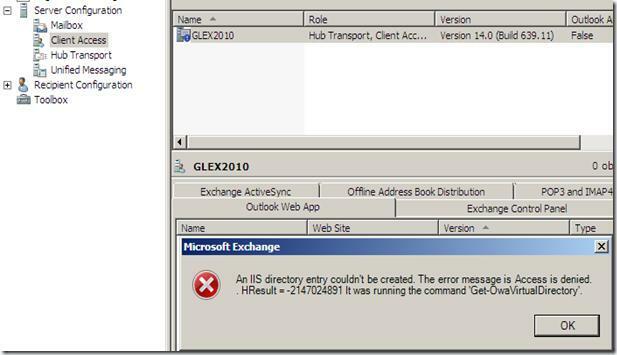 Exchange 2007 Server EMC is throwing error "An IIS directory entry couldn’t be created. The error message is Access is denied. HResult = -2147024891"